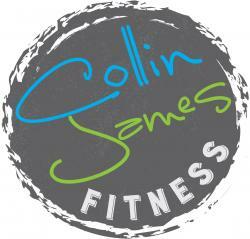 Collin James Fitness simplifies your workouts. The fitness industry often makes working out seemingly complex, but that simply doesn't need to be the case in order to achieve great results. Collin believes in an active lifestyle approach towards achieving your fitness goals. Long-term consistency with your workouts, combined with a minimalistic and practical program design is what you will receive when you train with Collin. Together, we will reach the level of fitness you desire and better your quality of life. Collin has always had a passion and desire for health and fitness. He grew up playing competitive travel ice hockey, and at the young age of 13, Collin began training in calisthenics and light weight training to aid him in his strength and conditioning for hockey. As a teenager, Collin competed in three bodybuilding competitions, placing within the top 5 of his weight class for each of these competitions. The training to compete in these bodybuilding competitions was quite grueling and Collin learned first-hand what it takes to develop a lean, muscular physique. At the age of 18, Collin entered law enforcement, a career field he enjoyed for over 10 years. He served with a local police department in New Jersey, a sheriff's office in South Carolina, the U.S. Secret Service, and the U.S. Department of Defense. As a U.S. Secret Service Officer, Collin became a Fitness Coordinator with the agency- learning the fundamentals of a tactical strength & conditioning program, as well as administering basic fitness assessments to members of the U.S. Secret Service. With a burning desire to help others reach their health and fitness goals, Collin left law enforcement to pursue his true passion as a fitness professional. Collin is a Certified Personal Trainer with the National Academy of Sports Medicine, and brings a minimalistic, yet creative approach to his fitness concepts. He also brings a vast amount of fitness experience, knowledge, and innovative ideas to those who will train with him.